Roger Federer stole the show to put Nick Kyrgios in his place at the US Open. 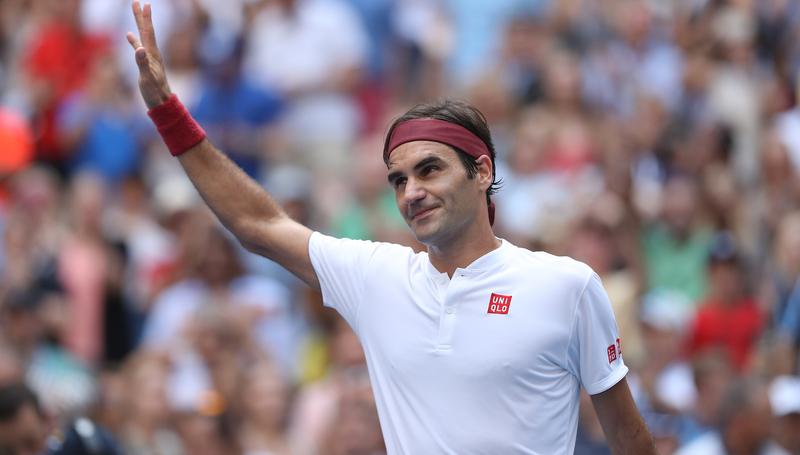 The pair met in the third round in the most highly-anticipated men’s match of the tournament so far, but it proved to be style over substance as Federer raced to a 6-4 6-1 7-5 victory inside two hours. There was still plenty to keep the Arthur Ashe crowd entertained, especially the forehand that Federer played around the net post in the seventh game of the third set that left Kyrgios open-mouthed in disbelief. Two days after the controversy over his pep talk from umpire Mohamed Lahyani during a second-round win over Pierre-Hugues Herbert, Kyrgios had hoped his tennis could write the headlines. But a missed chance in the opening set, when he had Federer at 0-40 in the seventh game, proved the turning point. From 4-4, the second seed won seven games in a row and, although the third set was more competitive, Federer always looked in control. Kyrgios ranted at his box after losing the first set, which he attributed to pressure. “I got to the business end of the first set, crucial moment,” he said. “I played a terrible service game, didn’t make any first serves. It was tough. I knew how important that first set was. Kyrgios certainly had a better attitude on court than against Herbert, and he can normally be relied upon to keep his focus against the big names, but he remains a hugely frustrating player who frequently favours the spectacular over the reliable. Federer said: “You feel like you have to be the consistent guy rather than the flashy guy, just because he has a tendency to throw in the odd shot that you just don’t normally see on the tour. “Other guys play the shot you’re supposed to hit and then, if you get beat, you’re like, ‘Maybe I should have hit Nick’s shot?’. Nick goes the other way around. He hits that shot but then, if he doesn’t win that point, maybe he tells himself, ‘Well, maybe I should have hit a normal shot’. Imitation has become a Kyrgios staple and, after sprinting out for the warm-up like Rafael Nadal, the Australian pulled out a Federer serve in the fourth game. The Swiss, who next plays a rather different Australian character in John Millman, did not take offence, saying: “We have all imitated serves. Sure, it’s unusual to happen against you with your own serve. 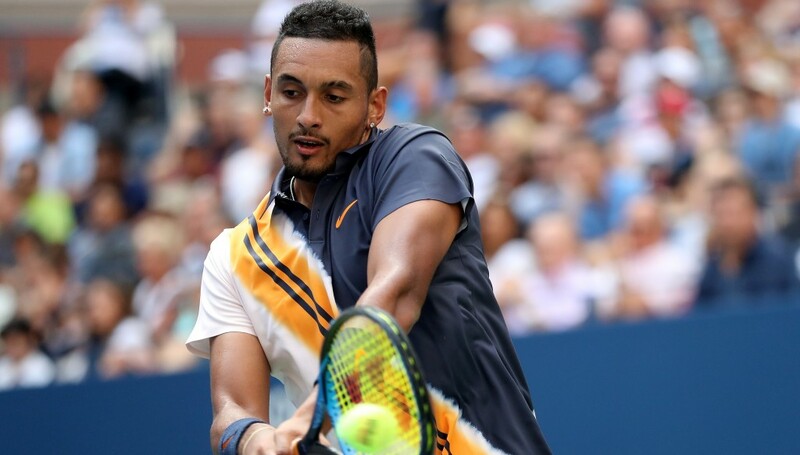 Kyrgios still does not have a coach, although he has been working with a physical trainer, and he appears open to the idea of speaking to a psychologist as he seeks the path that could see him fulfil his talent. 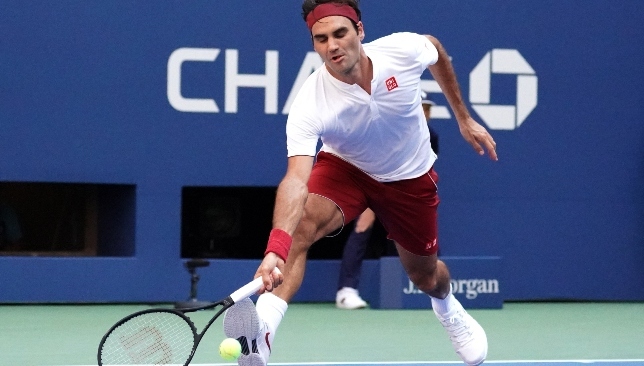 Roger Federer swatted aside the challenge of Nick Kyrgios to breeze into the fourth round of the US Open. But a missed chance in the opening set proved the turning point as Federer raced to a 6-4, 6-1, 7-5 victory after just an hour and 44 minutes. If Rafael Nadal against Karen Khachanov was a gladiatorial battle, this was part tennis match, part circus show, and Federer was the ringmaster. They had played three times before, with Federer winning two, but each had gone to a deciding tie-break, so hopes were high that this could be a tight contest. Keeping his head down is not Kyrgios’ style and he ran out for the warm-up like Nadal before imitating Federer’s service motion in the fourth game. It won him the point, but probably did not impress the man down the other end. Federer admits he, too, does things on court to keep himself entertained, trying different tactics like his half-volley return, but it is unlikely he empathises too much with Kyrgios’ approach to tennis. For 25 minutes, this was a compelling contest, and, had Kyrgios taken advantage of four break points in the seventh game, including three at 0-40, then the match might have panned out very differently. But he could not and three games later Federer found a way into a Kyrgios service game for the first time and sliced a backhand return down the line to take the set. Kyrgios began to rant at his box and things swiftly went from bad to worse at the start of the second set. Sitting down at 0-3, the scoreline was exactly the same as it had been against Herbert when Lahyani intervened, but umpire James Keothavong stayed firmly in his chair. All the tricks were coming from the Federer racket as he drop-shotted his opponent almost at will and arrowed passing shots inside the lines. Kyrgios at least avoided a love set, stopping the run of games against him at nine, and the third set gave the crowd the contest they had been hoping to see. The seventh game was a show in itself, highlighted by a forehand Federer somehow guided round the net-post that left Kyrgios open-mouthed in amazement. Federer broke serve to lead 6-5 and served out the victory to love to set up a last-16 meeting with another Australian, the unheralded John Millman. Advanced in four sets: Novak Djokovic. 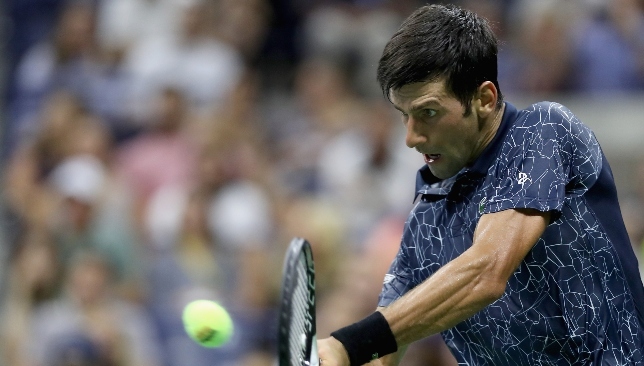 A frustrated Novak Djokovic reached the third round of the US Open despite dropping a set to Tennys Sandgren. The Wimbledon champion had struggled in the heat against Marton Fucsovics two days previously and been relieved to come through in four sets, but looked to be cruising in the slightly cooler evening conditions before things became complicated in the third set. Djokovic fought back from a break down and held a match point at 5-4 but Sandgren saved it. A sloppy tie-break from Djokovic coupled with inspired play from his opponent saw the American push the match into a fourth set, where the sixth seed regained his superiority to win 6-1 6-3 6-7 (2/7) 6-2. Djokovic said: “Credit to Tennys for playing well, fighting, a great attitude on the court. I thought I played very well for the first two-and-a-half sets and then I just lost it mentally, I got pissed off at something, myself, my game, I don’t know. Novak Djokovic rolls into Round 3 with a 6-1, 6-3, 6-7, 6-2 win over Tennys Sandgren. Djokovic’s Wimbledon title appeared to show he had put the mental and physical struggles of the past couple of years behind him, but the 31-year-old admitted there is still work to do alongside coach Marian Vajda. Djokovic next faces Frenchman Richard Gasquet, who defeated Laslo Djere 6-3 7-6 (7/5) 6-3.